Seattle Seahawks quarterback Russell Wilson fumbled the ball on the very first play from scrimmage against the San Francisco 49’ers in the NFC Championship game yesterday. He lost the ball and the 49’ers scored on that possession. 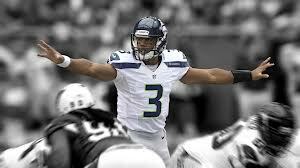 Wilson went on to have a terrific game and help lead his team to a win and a trip to the Super Bowl. In the post-game press conference he was asked about that fumble. Wilson responded that as a professional athlete, sometimes you need amnesia. You forget about the bad play. It’s over. You move on without it renting space in your brain and focus on the next play. We need to do that, too. In both business and life we need to have amnesia on our own “bad plays.” We all make them and if we choose to dwell on them, they will continue to haunt us and keep us from maximizing our potential. Conversely, a little amnesia in these cases (after a quick lesson learned) will help us to accelerate to success and win our own championships.